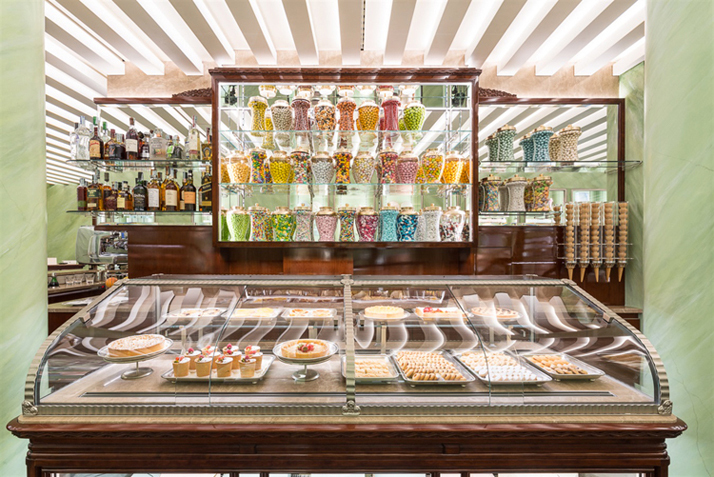 Pasticceria Marchesi, one of Milan’s most iconic cafes, was founded almost 200 years ago in the same location in which it continues to operate today, the tale of this landmark venue is one of the tradition triumphing over trend. It is a story of classicism guided by the beguiling hand of creativity. 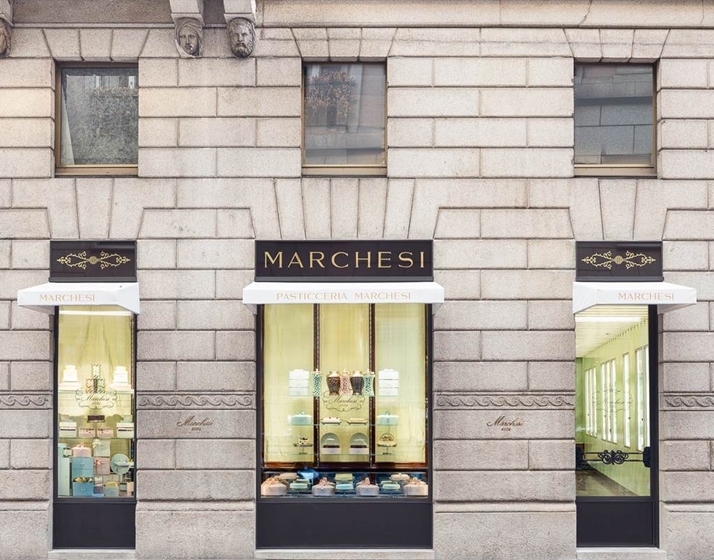 The roots of Pasticceria Marchesi begin in 1824 when a small pastry shop opened inside an elegant 18th century building in a discreet, upscale neighborhood in Milan. 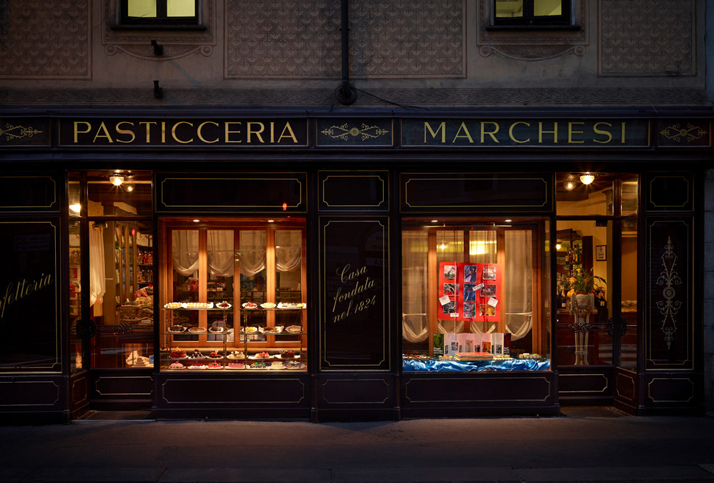 The shop quietly and diligently went about its singular business of confections until the early 1900s when Angelo Marchesi expanded its services to that of a proper bar serving coffee, refreshments and early evening cocktails in addition to its freshly baked pastries, cakes, cookies and candies. 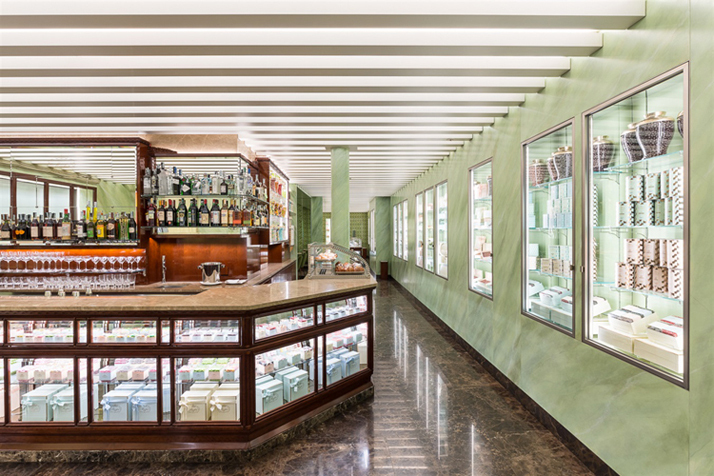 Today, the same café in Via Santa Maria alla Porta, 11/a is managed by Angelo Marchesi’s grandson (also named Angelo) together with his wife and two children. 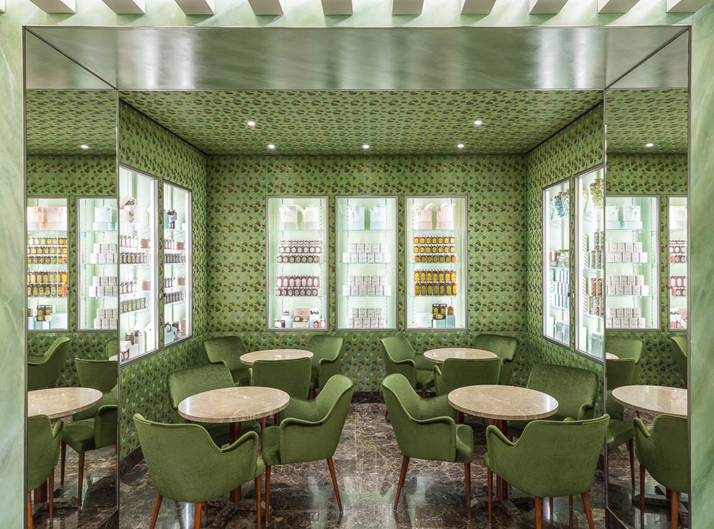 The family runs the business according to the café’s original principles, retaining its unique heritage while pushing it forward toward contemporary relevance. 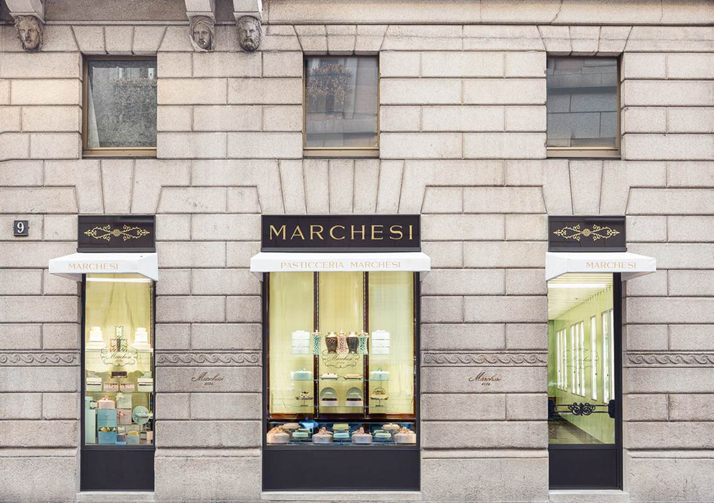 Under their stewardship, Marchesi has blossomed into a commercial and creative success, and it continues to be an esteemed destination for Milan’s tastemakers who come to swirl espresso at the antique bar or pick up special sweets for an important event or gift. 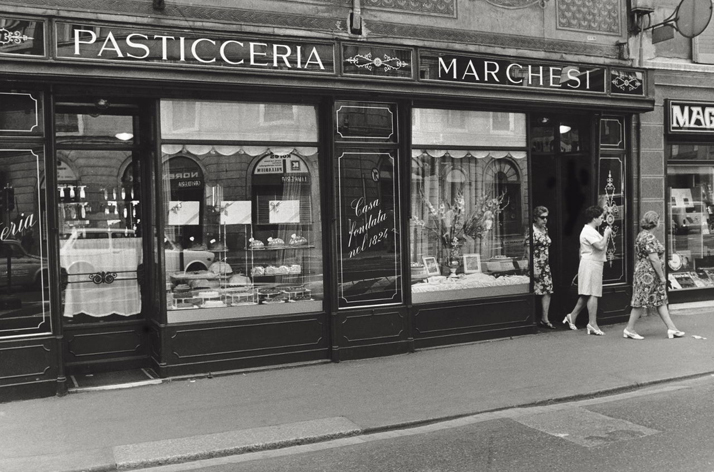 Since 1824 Pasticceria Marchesi’s products are still made the old-fashion way: by hand, using the simplest, freshest ingredients possible. Classic offerings, such as the famous Panettone Christmas cake or Amor Polenta breakfast cake, are adhered to with strict reverence. 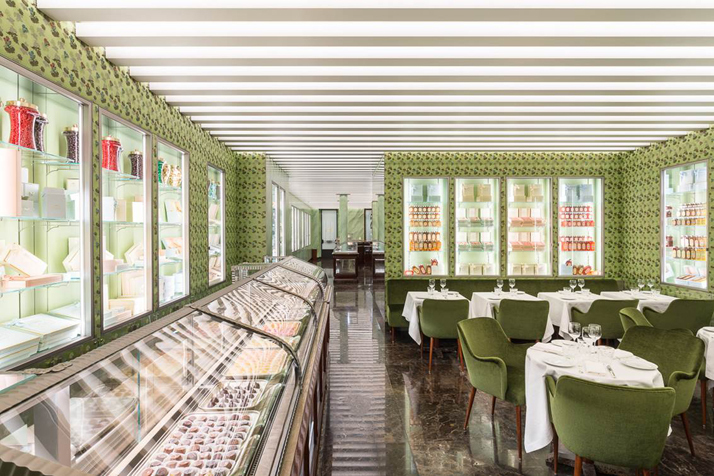 Production of the café’s freshly baked pastries, 10 different variations of brioche and signature chocolates continues to occur onsite upstairs from the shop, while the family’s offices are located in the rear, allowing a continuous, sharp eye on product testing and quality controls.